Why Do You Need To Clean Your Toothbrush? You use your brush to scrub off food particles from teeth and to remove the disgusting film from your tongue, but rarely do you clean your toothbrush. Cleaning a toothbrush is one of the essential aspects of oral hygiene that helps you stay protected from the proliferation of bacteria. Toothbrushes are undoubtedly a fertile breeding place for many bacteria and viruses that cause influenza, pneumonia, and the common cold. Considering this, the National Dental Association has recommended replacing your toothbrush every two months. It has also suggested that you should clean a toothbrush once a week at minimum. Based on the recommendations of the National Dental Association, we have provided a list of some easy tips for you to clean your toothbrush. How Can You Clean Your Toothbrush? Rinse your toothbrush before and after each use. We all rinse our toothbrushes after we brush our teeth, but rinsing it properly with hot water both before and after brushing is one way to remove bacteria. The hot water effectively cleans and kills the bacteria multiplying inside your toothbrush. You can even use your fingertips to massage the bristles gently while cleaning it with hot water to clean it properly. Also, do not forget to wash your toothbrush before using it as bacteria and airborne particle buildup every time you use it. Anaerobic bacteria are the primary cause of gum diseases, and they thrive in the low-oxygenated atmosphere. That is why keeping your toothbrush in open places is beneficial for preventing the growth of anaerobic bacteria. This tip will provide ventilation to your toothbrush between brushing sessions. A nifty gadget cleans your toothbrush with steam and dry heat. It is a handy way to kill bacteria on the toothbrush. You can also give your toothbrush a quick wash using hydrogen peroxide and sanitizer. Use your dishwasher to make a hot water cycle and clean your toothbrush. It is worth noting that your oral product container can easily contaminate the bristles of the toothbrush. It may have many impurities and pollutants if it is not receiving proper cleaning and can transfer them on your brush and it can be dangerous for your health. Placement of your toothbrush in the jar or holder is crucial. Place it in an upright position to allow excess water to drain from the bristles. We do agree with the idea of sharing and its benefits, but sharing your items such as the toothbrush will never benefit your loved one. Rather it transfers germs and infections. Make sure that everyone has a separate toothbrush in the house, even if he/she is your 3 -year old. No matter how dutiful of a brusher you are, it is essential to replace your toothbrush every two months. By that time, the brush starts wearing out, and that can be harmful to your health. In conclusion, cleaning your toothbrush does not take your much time but saves you from millions of infectious bacteria. Make sure that you use all these simple yet practical tips to clean your toothbrush as part of your oral health regimen. Never hesitate to contact our office for any additional information. 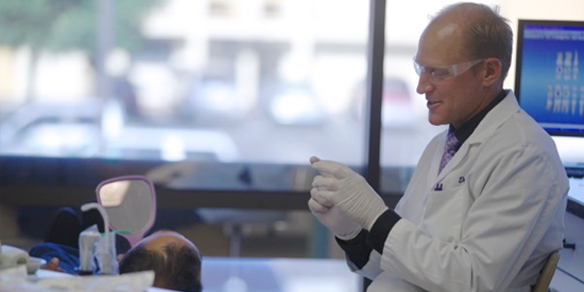 Request an appointment in our Costa Mesa dentist office here: https://vanekdentistry.com.